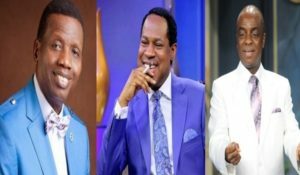 SEE THE TOP 10 NIGERIA RICHEST PASTOR. NO 1 NET WORTH WILL SHOCK YOU! The Lord never forsakes his own; these men have dedicated their lives to serve God. Preaching the gospel, winning souls for Christ, healing the sick, helping the less privileged amongst other things. The names on the list was determined based on their investments, lifestyle, and popularity of the church. This list includes the names of nine Pentecostal churches pastors and one catholic priest. Lazarus Muoka, is the founder of the Lord’s Chosen Charismatic Church. He is said to own several publishing companies, primary and secondary schools, real estates etc.